This bamboo is one of the most widespread bamboos in the country. It makes an excellent screen or container plant. Pseudosasa japonica is also quite happy indoors. The leaves, 5 to 13 inches long by 1.75 inches wide, are much larger than the leaves of other hardy bamboos of similar size. The culm sheaths are persistent. 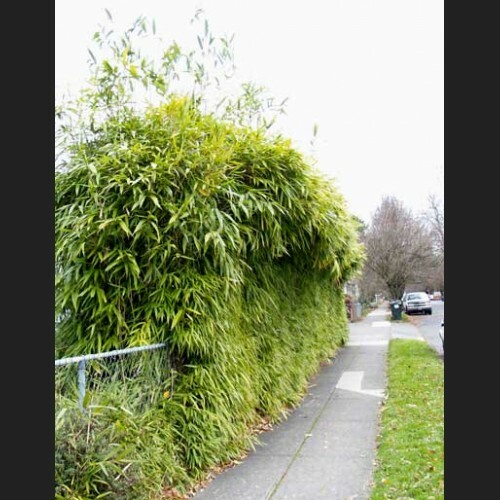 This is also one of the best bamboos for a windy or seaside planting.